We are seeing an increasing interest in aluminium conservatories, particularly for more modern designs. 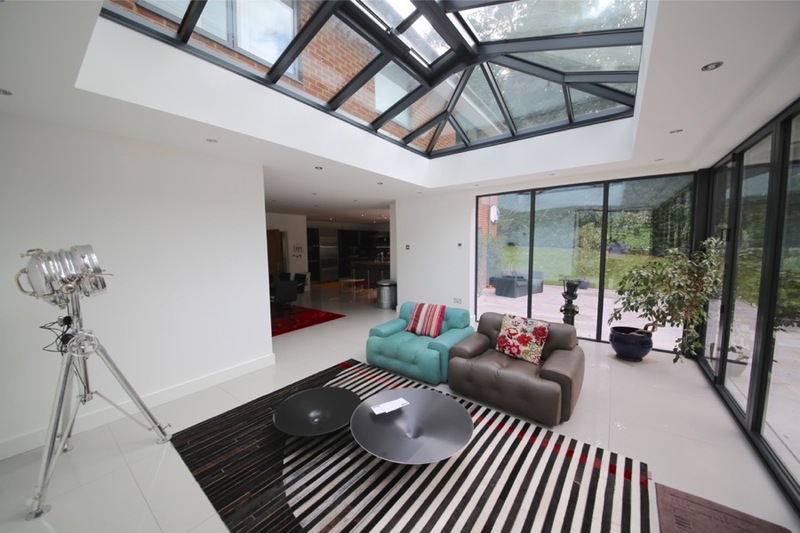 Aluminium tends to be favoured by architects, engineers and other building professionals for use in conservatories and orangeries because of its inherent strength and slim, neat lines. Often aluminium conservatories will feature large, bold panes of glass, to give a clear outlook and a modern feel. The framework may be either slender and minimal or bold and chunky with an almost industrial style. In fact one of the systems we install in domestic properties is designed for in commercial applications such as shopping centres or airports. With a minimalist, contemporary design, detail is everything. The aluminium framework makes a bold statement and therefore draws focus, its finish and detailing must stand up to such scrutiny. There are people who simply don’t get this concept and will try to achieve the contemporary feel in uPVC. Whilst the conservatory may work in a practical sense, aesthetically it will be a failure. We can match any colour on our aluminium conservatories, however it does make sense keep within the industry standard RAL range where possible. This makes is easier to colour any ancillary components such as rainwater goods . Dark grey colours such as RAL 7015 Slate Grey or RAL 7016 Anthracite Grey are popular and have become more readily available in recent years. The aluminium sections are “thermally-broken” with a central polythermide thermal barrier. This means that the inner and outer parts of each windows frame, post and roof rafter are completely separate and do not touch each other. This makes it possible to have the aluminium sections different colours internally and externally if required. The aluminium sections are electrostatically powder-coated, giving an immaculate finish and great longevity. Doors with multiple leaves that fold and slide to create large openings have also increased in popularity recently. Various configurations are available, as are different threshold options. Aluminium conservatories have been perceived by some (and portrayed by others!) as having poor insulation properties. This is simply not the case. Whilst the correct type of glass, roof, wall and floor insulation all play a greater part in the overall thermally efficiency of the building, the level of heat conduction of the frames should also be considered. Advances in recent technology mean aluminium conservatories meet the same stringent building control standards as timber or uPVC. Our aluminium conservatories are based around a central polythermide break. This greatly reduces heat transfer from the internal parts of the windows, doors and roof to the outer sections. For conservatories with extra large spans or clear openings, some additional structural framework may be necessary. We use an aluminium portal frame that blends in seamlessly with the main building.